Ready-to-use, broad spectrum, surface disinfectant cleaner. Fragrance-free. 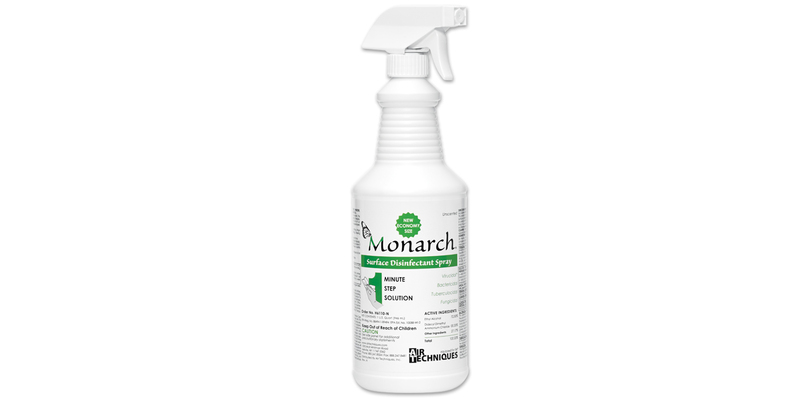 Ethyl alcohol plus quaternary ammonium formula provides a complete one-step disinfection on hard, non-porous surfaces. Effective against TB, HIV, Hepatitis B & C, MRSA, S. aureus, E. coli, influenza and other clinically relevant organisms in just 1 minute.